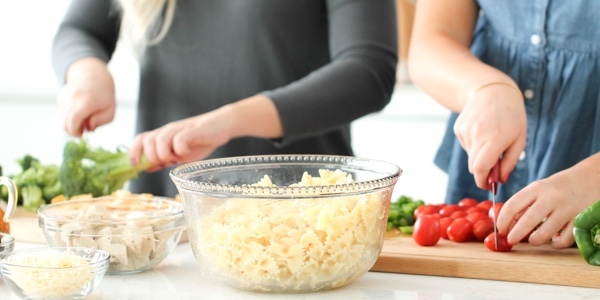 We are teaming up with with Kroger to share with you some of our favorite recipes, and party ideas. Don’t forget to follow #Summertoremember and @Kroger on Twitter to see more or our fun party ideas and recipes! 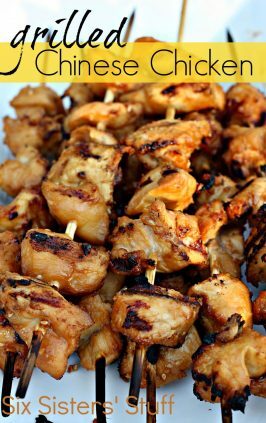 This Huli Huli Chicken is truly one of our favorite dishes to make for our family! Especially for the 4th of July! My cute son was born on July 2nd, which meant that I came home from the hospital on July 4th. With the madness of a newborn, we missed all the parades and festivities and I was heartbroken. Around 9 pm, I was sitting on my bed feeding the baby and feeling sorry for myself when my cute neighbors knocked at the door. The handed my husband a plate full of this grilled chicken . . . and after having a frozen pizza for dinner, this chicken smelled and tasted absolutely heavenly! We have moved since that 4th of July so many years ago, but whenever I make my version of their chicken, I always remember their kindness . . . I doubt they know how much I needed that grilled chicken in my life at that very moment! 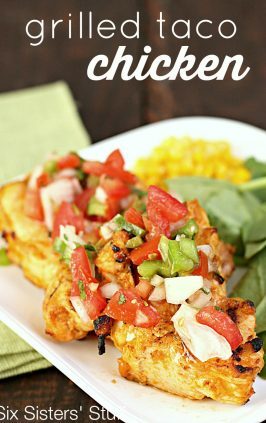 🙂 And, it really was and still is one of the best grilled chicken recipes I have ever tasted! 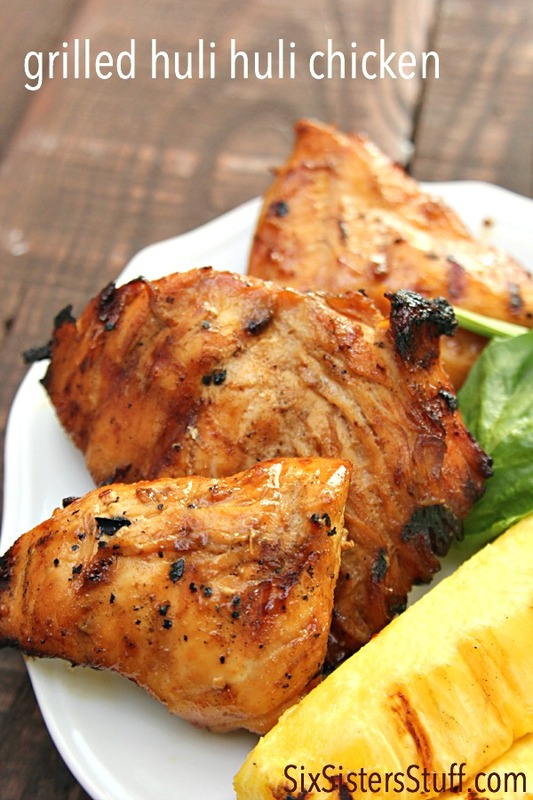 The combination of pineapple juice and brown sugar makes the most delicious grilled chicken! Also, the longer you let it marinade, the better this chicken tastes. In a small bowl, mix the first six ingredients. 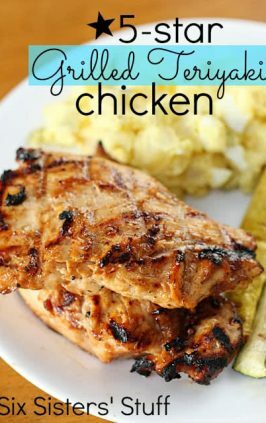 Pour marinade in a large resealable plastic bag and add chicken. Seal bags and place in the fridge for at least 8 hours or overnight. Remove bag from fridge, drain and discard marinade from chicken. 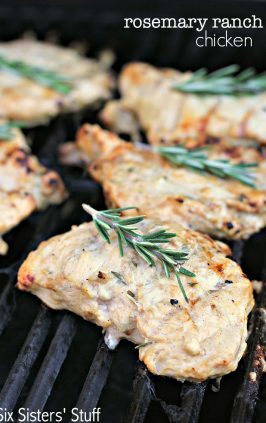 Grill chicken over medium high heat for 6-8 minutes on each side or until internal temperature of chicken reaches 165 degrees F.
We love to serve ours with grilled pineapple on the side! This was phenomenal! Followed the directions exactly and served it with grilled pineapple on the side. Everyone in the family loved it! My family loved this! I made a second batch of marinade, added some corn starch and cooked it on the stove top to make a sauce to add to the chicken after it was grilled. Delicious! This looks so good! I love anything that reminds me of my honeymoon in Hawaii! 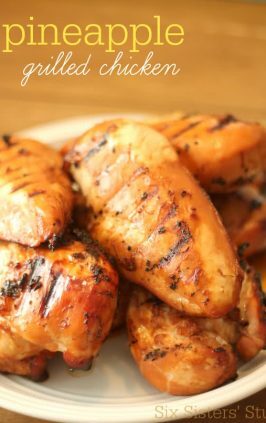 This is by far one of the best chicken recipes I've made in a long time. Overnight marinade makes it very juicy. Even my picky two-year-old will try it! Thank you for the post! I do almost exactly the same thing, minus the brown sugar, to marinate flank steak. Nice memory, and great looking recipe, thank you for this!